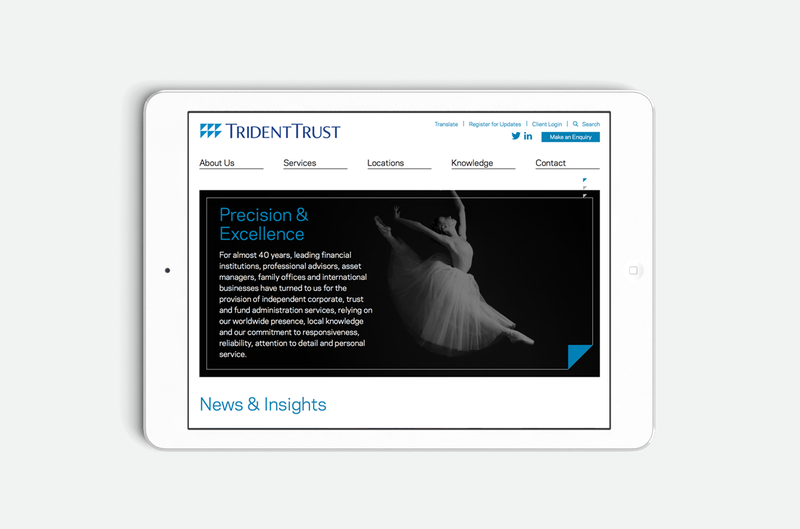 Trident is a 30-year-old Trust and Fiduciary business operating out of 35 offices around the world. Historically they had always operated behind the scenes, with no wish to raise their own profile, but now, for organisational reasons, that needed to change. And to make life fun for us, all their historical branding and marketing were overseen by the partner of one of the owners… The bar was set high. 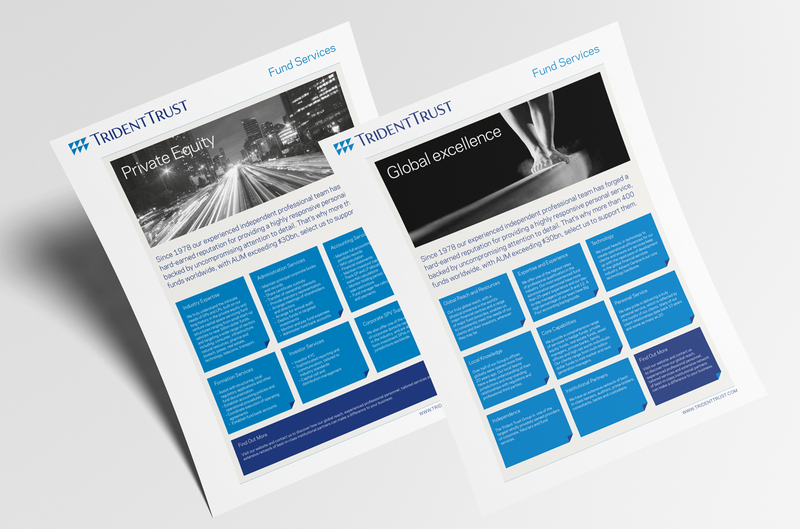 Graphical embarked on a very methodical, strategic branding process, we worked closely with Trident’s senior management team, interviewed internal and external stakeholder to create a platform on which to establish the brands’ new look and feel. This was then applied across their entire collateral portfolio as well as a completely new website and company intranet. 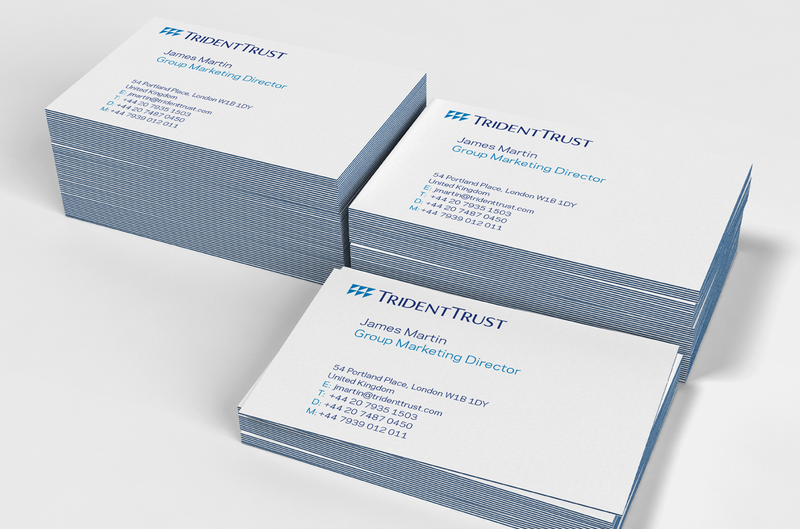 We even bought 7,000 font licenses to allow Trident’s internal design resources to continue to develop the brand internally and to allow for all staff to create documents which were completely on brand.